Phnom Penh (VNA) – The Rang Dong Light Source and Vacuum Flask JSC held a workshop on smart lighting solutions in Phnom Penh, Cambodia, on March 19. The event, co-organised by the Vietnamese Embassy in Cambodia, gathered many leading local businesses. Rang Dong, which makes over 100 million lighting products each year, introduced its research and development centre to participants. The centre, established in 2011, has worked to obtain updates on the latest technological advances for application in the company’s design and manufacturing processes. Cambodia has yet to produce the majority of its own lighting products and is forced to buy a large amount of them overseas, mostly from China (70 percent of total imports) and Thailand (just over 20 percent). Vietnamese products of this kind only make up 3 percent of such imports. Rang Dong products have been available on the Cambodian market over the past 12 years, receiving good feedback from local consumers. 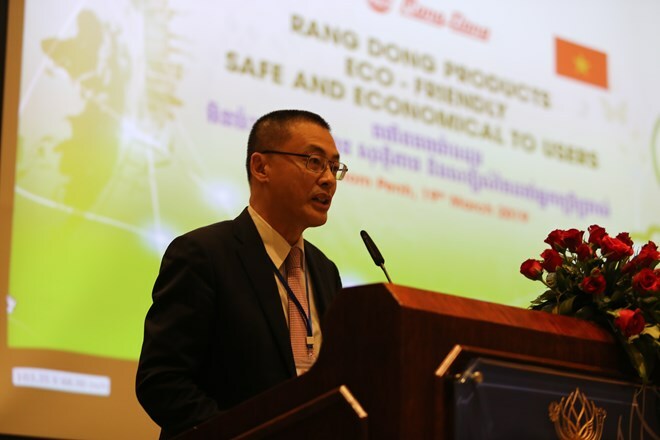 Speaking at the workshop, Rang Dong’s Deputy General Director Tran Trung Tuong said that one of the reasons for the the marginal presence of Vietnamese products in the market is the lack of information. Vietnamese enterprises have yet to carry out market researches to assess demand from both sides, he added. Vietnamese Ambassador to Cambodia Vu Quang Minh praised efforts made by companies to capitalise on the Vietnamese and Cambodian Governments’ investment incentives in the Cambodian economy of 16 million people where construction is booming. The market has a high demand for lighting products, particularly light-emitting diodes (LED), which are key products for Rang Dong, he stressed.